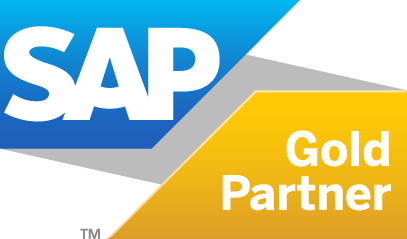 Assuring any SAP programme is a multifaceted undertaking, requiring deep functional and technical knowledge of SAP system implementations and organisational change, plus a breadth of industry-relevant experience. AgilityWorks is one of the UK’s foremost experts in SAP S/4HANA-based business transformation, with demonstrable experience in multiple industries. Understanding your SAP programme’s exposure to risk is vital to its overall health. At AgilityWorks, we provide risk assessment services that not only help your organisation to identify and navigate potential project pitfalls, but also address key business-critical issues through a series of remedial activities. As well as identifying the benefits of your SAP project or programme, we provide a clear picture of the actions required to make those benefits a reality. We work with you to understand what, when and how you’ll realise the benefits of your programme, assisting with business case definition and evaluation, as well as benefits realisation planning and assessment. Assurance reviews on design, advisory & implementation roles within large-scale multi-partner programmes. One of the UK’s foremost experts in SAP S/4HANA-based business transformation, AgilityWorks has developed a leading Programme Assurance Model (PAM) to evaluate and assess every facet of your SAP programme. Following the PAM, our assurance teams can validate every key area of your SAP programme - including programme management, governance, business case alignment and key design principles. We can also assess the process/functional aspects of your programme, and non-functional aspects including Integration, Data, Analytics and System Operation. On a typical engagement, our Risk Assurance teams will provide a thorough assessment of your business outcomes and desired solution, as well as your business processes, data integrity and controls and compliance frameworks. We’ll also identify technology based risks, assess your infrastructure and identify the potential impact of scope change - undertaking any remedial activity required in order to mitigate any associated risks. Depending on the nature of your desired business outcomes, our benefits realisation services can either be delivered at the onset of a programme or in-flight. Ahead of a project, we can deliver a benefits identification workshop, or evaluate existing benefits cases to ensure value for money. We can also help you to develop a benefits realisation plan, which acts as an overview of the main milestones, and assist you in its ongoing management - identifying what needs to be done, when and by whom, to manage the successful realisation of benefits. Developed over a number of years in line with customer and partner feedback, our Programme Assurance Model shares the same core foundational elements as those seen in other SAP best practice models – but crucially continues to evolve in line with SAP’s technology. We work with you to agree the right approach to risk structure at the outset of the programme, defining the process for managing the risks, making sure the mechanism of recording is available to all parties in one single source - and then enforcing the governance of regular reviews. AgilityWorks is focused on helping you maintain your programme’s momentum and to deliver your desired benefits. Through careful planning, communication and ongoing management, we will accelerate your SAP programme’s time to market and time to value.